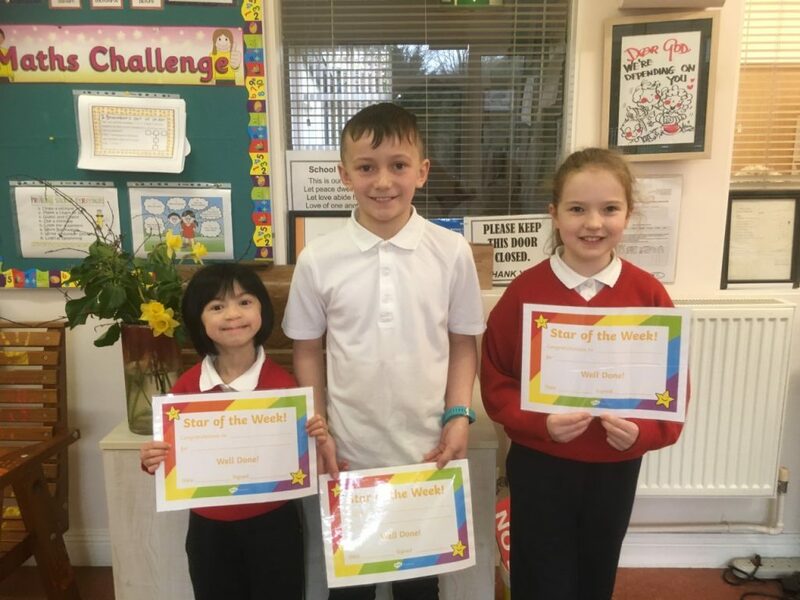 Each week, as a school, we try to focus on something positive such as “being a good friend”, “being a team player”, “working hard at spellings” etc. 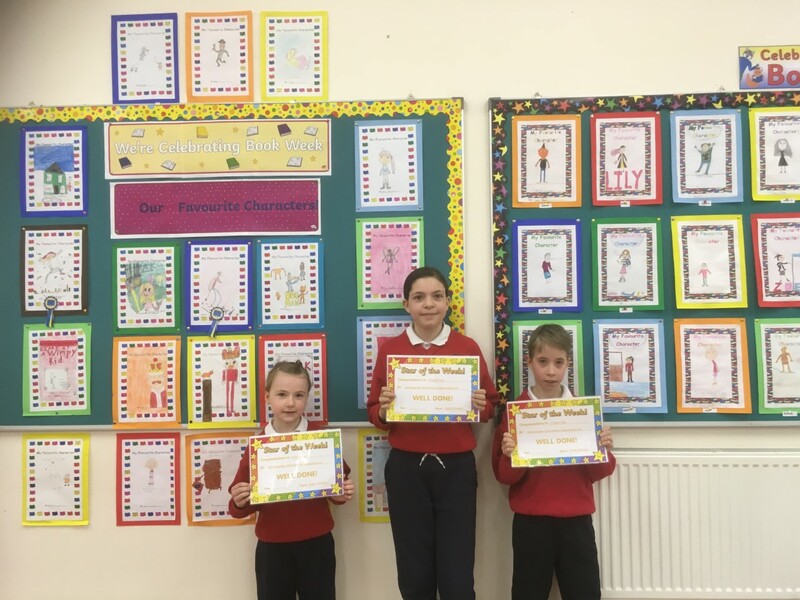 At the end of the week, 3 certificates are awarded to 3 pupils, one child from each classroom and they may pick a treat/pencil from the reward box. 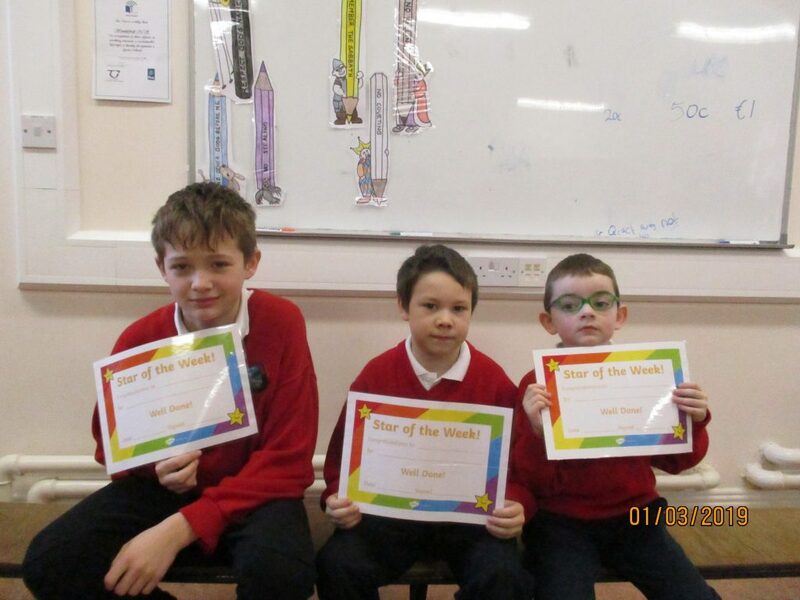 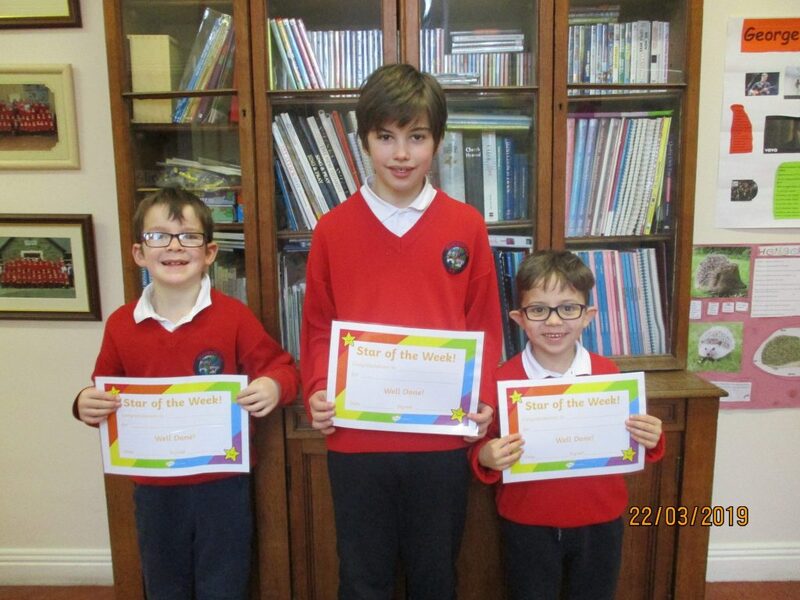 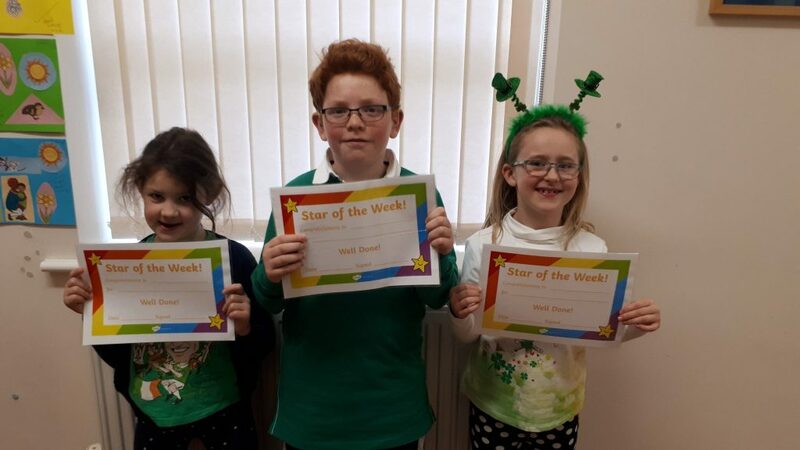 The stars of the week are displayed on the notice board for all to see!